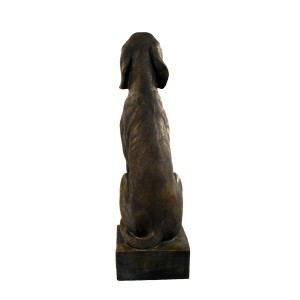 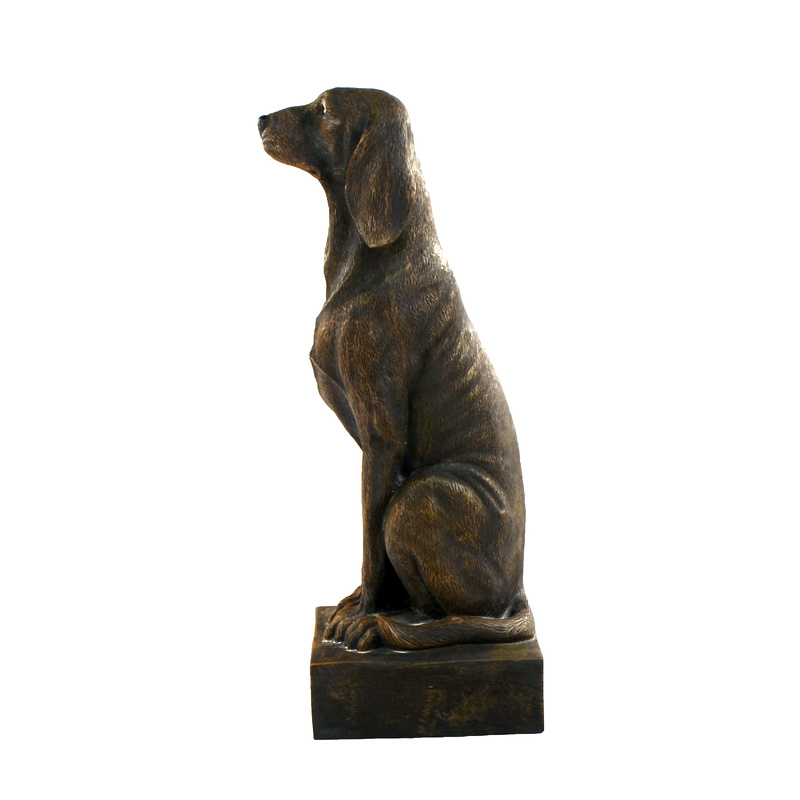 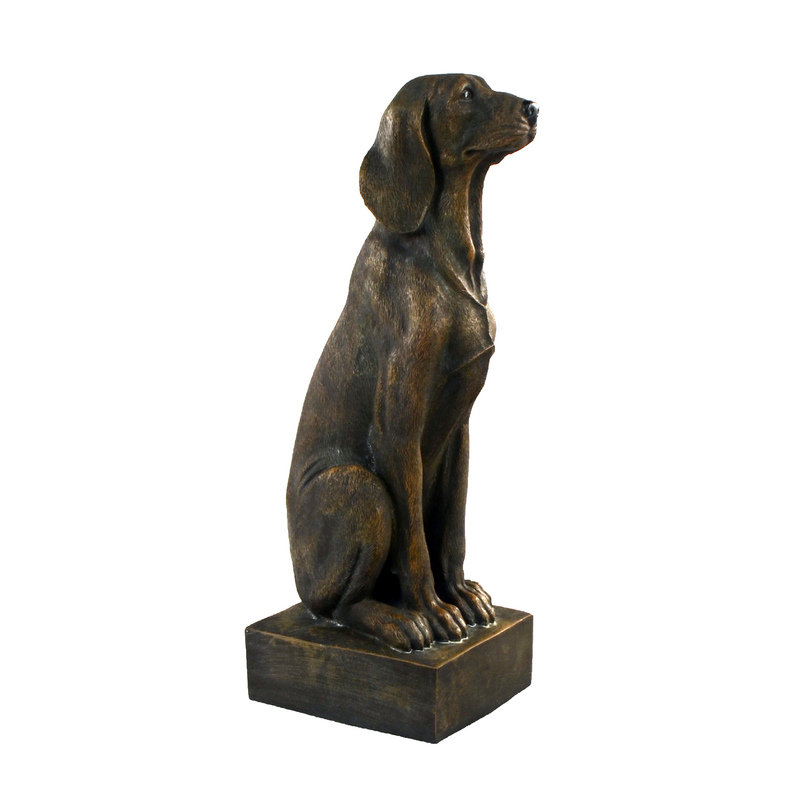 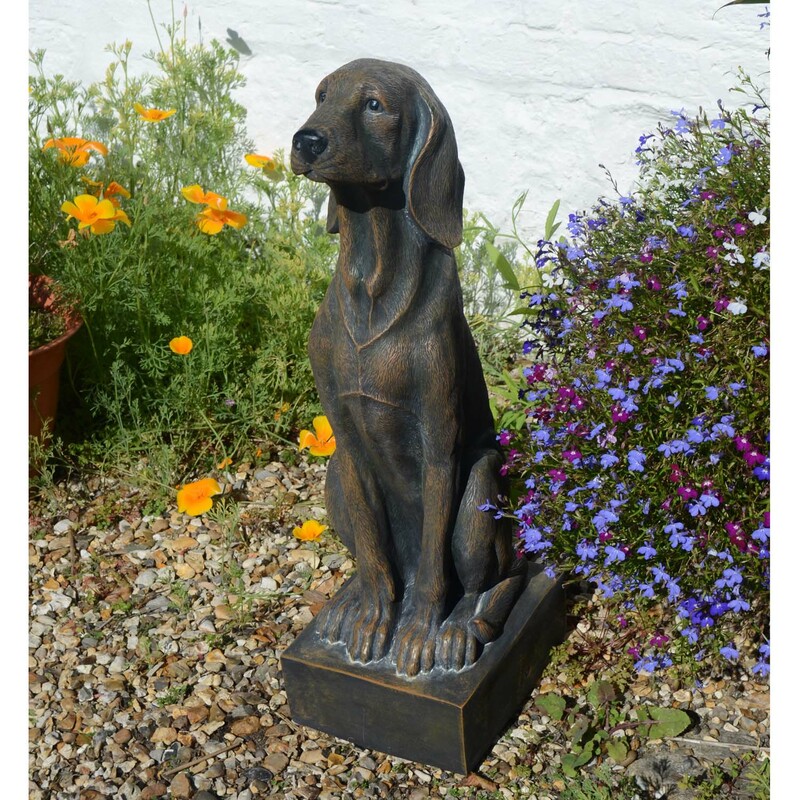 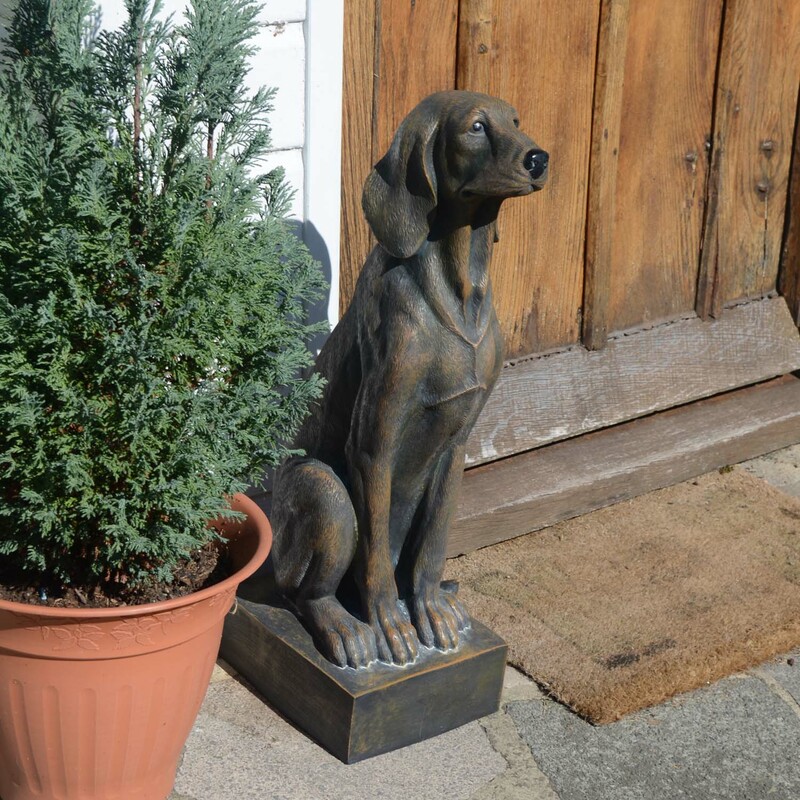 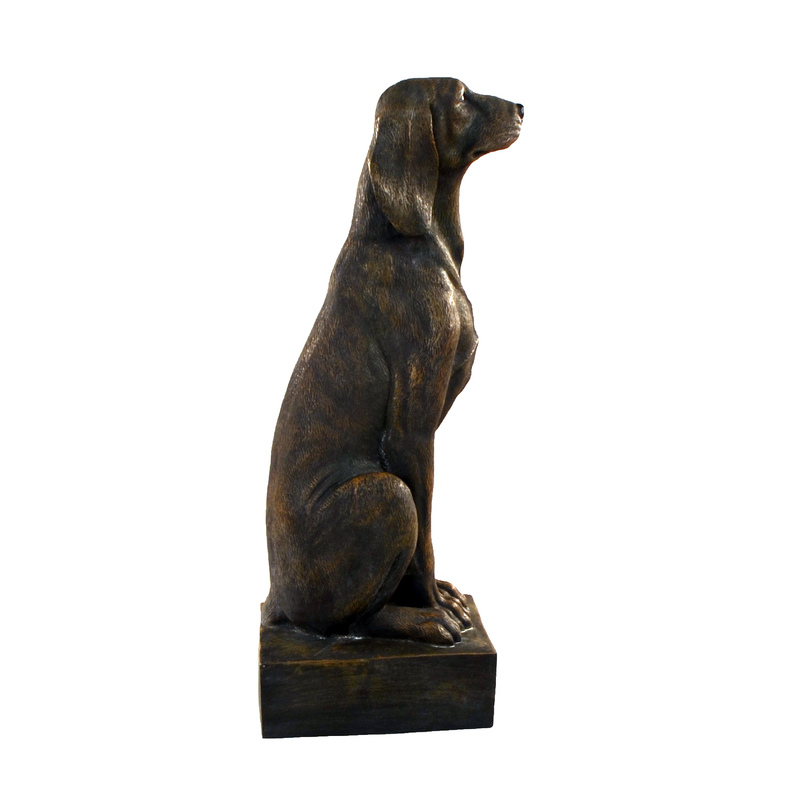 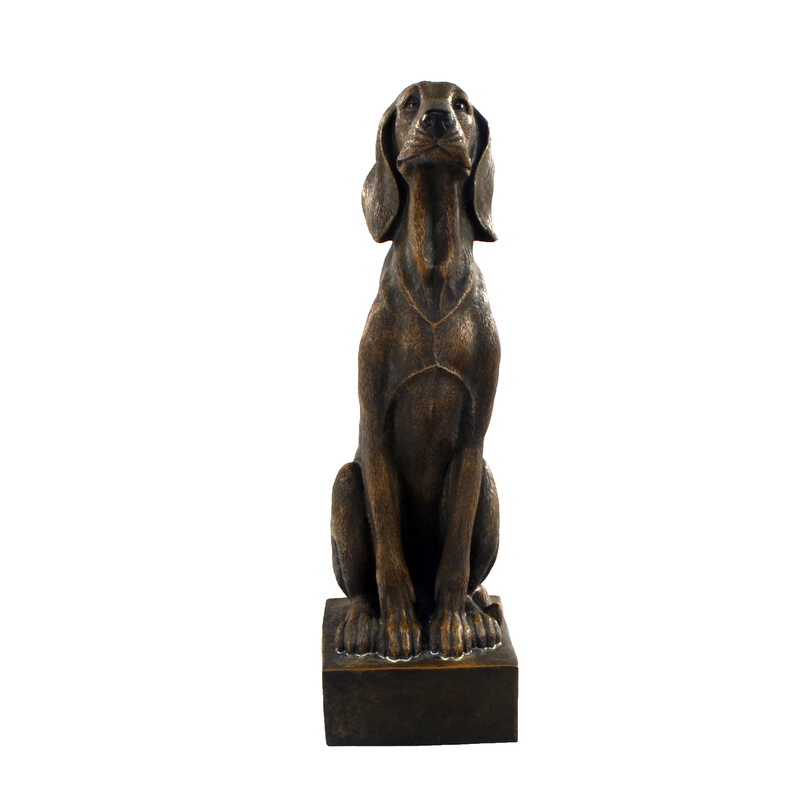 This charming statue depicts a loyal and well behaved dog, it is well suited to being placed upon a porch or doorstep as well as positioned to sit faithfully beside the flower beds. 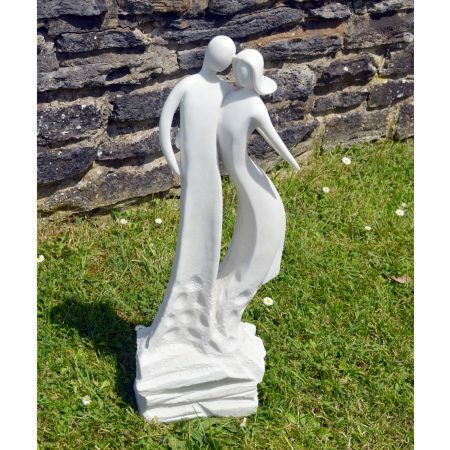 This Statue is made from poly stone and crafted with lovely detail. 69cm tall, 21cm wide and 30cm deep. 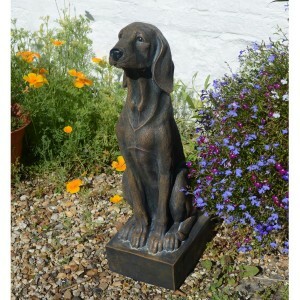 This loyal and well behaved dog statue will sit gracefully in the garden, made from poly-stone and crafted with lovely detail.